Hi, CGs. I'm about to change your life today, and so if you'd like to name your first born after me, I'm cool with that. 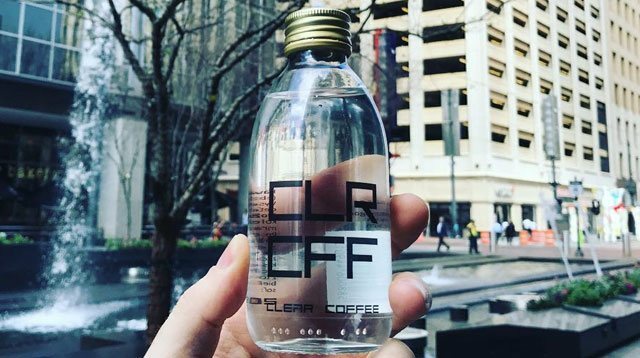 Introducing CLEAR COFFEE! That's right, coffee without the signature brown color that wreaks havoc on your teeth and clothes. Introduced by CLR CFF, it's a transparent, caffeinated drink with that tastes like a potent cold brew. I love a potent cold brew; that's the best kind of coffee! According to Delish, two brothers in the U.K. invented it by treating "high-quality Arabica coffee beans" with "methods which have never been used before." "We are heavy coffee drinkers," cofounder David Nagy told The Evening Standard. "Like many other people we struggled with the teeth stains caused by it. There was nothing on the market that would suit our needs so we decided to create our own recipe." Added bonus: Bartenders can also use it to mix custom coffee drinks that look, and probably taste, amazing. Right now it's only available in the U.K. at £5.99 (about P371.25) for two 200-ml bottles. It's pricey, but not that much more expensive than your fave Starbucks drink! So, will you make the switch once it's available here?